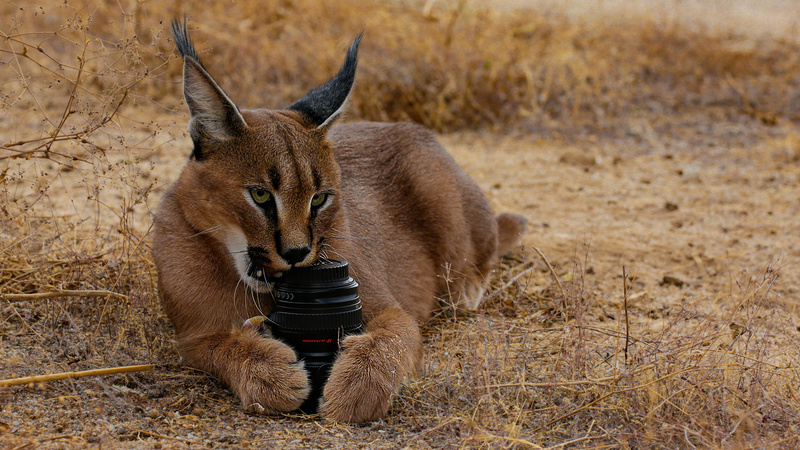 This caracal seems to like my lens. What was the end result to that lens? Great shot! How did you get it to look at you? How close were you?